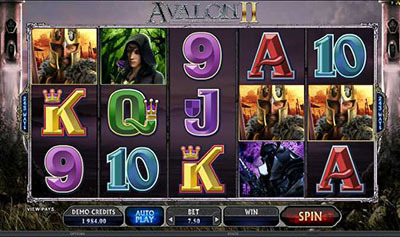 This elegantly designed slot game features two wild symbols and rounds of up to 125 FREE GAMES! 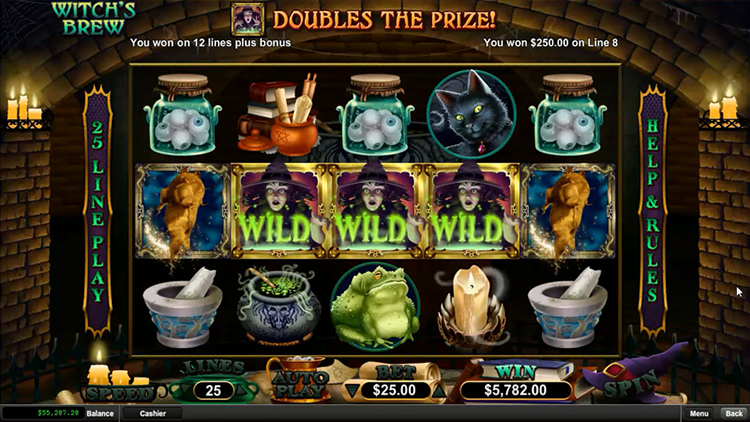 Witch’s Brew slot is a medium variance game so it won’t be too hard to trigger the bonus feature. The reels are gruesomely decorated with fat toads, candles, skulls, black cats, wizards and witches. There are two wilds that substitute for all symbols except the scatter. The Dragon Fan is a wild appearing on reels 2, 3, and 4. The Witch appears on the same reels and doubles any payout! TWhen 3 of the same Wilds appear in a spin, the game will grant up to 10 re-spins with the held wilds on reels 2, 3 and 4! Globin’s Blood is a scatter and will trigger the Free Games feature when 3 or more appear in a spin..
Get 10, 25 or 125 Free Games if you trigger the feature with 3, 4 or 5 scatters respectively. Wilds will appear grouped on the middle reels and all prizes are doubled. 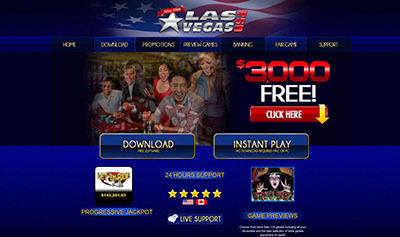 The Wild Brew feature can trigger inside this feature and additional Free Games can be won with the scatter symbol.